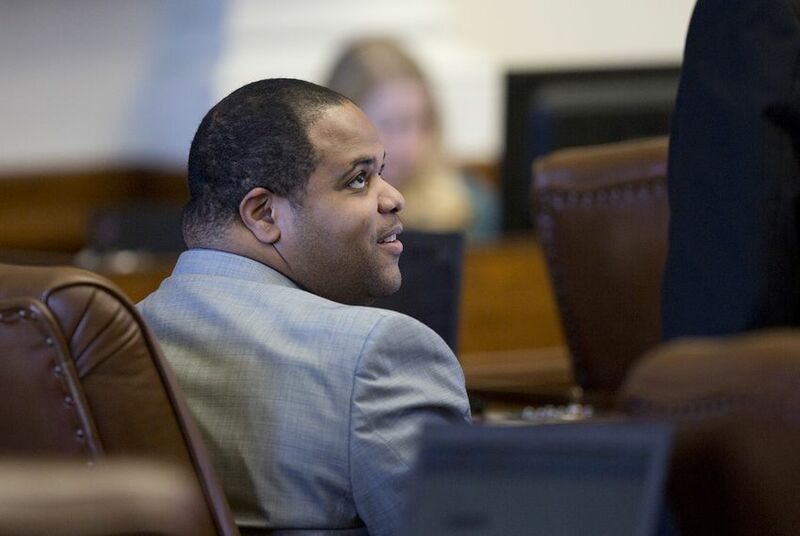 State Rep. Eric Johnson, D-Dallas, filed Wednesday for speaker of the Texas House, making him the first Democrat to enter the race to succeed retiring House Speaker Joe Straus, R-San Antonio. "I'm in it, and I'm in it to win it," Johnson told the Tribune. Texas House members traditionally select a speaker on the first day of a legislative session. The next session will begin in January 2019, unless Gov. Greg Abbott calls a special session before then. "I am deeply troubled by the far rightward shift in our state government and the excessive partisanship and the poor legislation this shift has spawned," Johnson said in a separate statement. "Texas has become a one-party state, and this has been to Texas’s detriment." Johnson, an attorney, is the vice chairman of the House Redistricting Committee and was recently chosen to serve as a delegate to the Democratic National Committee. He represents House District 100 in North Texas. "What Texas needs is a strong, pro-growth, progressive leader presiding over the Texas House to act as a counterbalance to a far-right Governor and Lieutenant Governor. I am running for Speaker to help restore normalcy to Texas state politics," Johnson said.